Biography*: Edmund of Woodstock, 1st Earl of Kent (5 August 1301 – 19 March 1330) was the son of Edward I of England, and a younger half-brother of Edward II. Edward I had intended to make substantial grants of land to Edmund, but when the king died in 1307, Edward II failed to follow through on his father's intentions, much due to his favouritism towards Piers Gaveston. Edmund still remained loyal to his brother, and in 1321 he was created Earl of Kent. He played an important part in Edward's administration, acting both as diplomat and military commander, and in 1321–22 helped suppress a rebellion against the king. Discontent against the king grew, however, and eventually affected also Edmund. The antagonism was largely caused by Edward's preference for his new favourites, Hugh Despenser the Younger and his father. In 1326, Edmund joined a rebellion led by Queen Isabella and Roger Mortimer, whereby Edward II was deposed. Edmund failed to get along with the new administration, and in 1330 he was caught planning a new rebellion, and executed. Once the new king, Edward III, came of age and assumed personal control of government, he annulled the charges against his uncle. The title and estates of the Earl of Kent descended on Edmund's son, also called Edmund. When this Edmund died, in 1331, his brother John became earl. Though he was officially exonerated, Edmund did not enjoy a great reputation during his life and afterwards, due to his unreliable political dealings. Edward I of England had a great number of children with his first wife, Eleanor of Castile, but only one son who survived into adulthood – the future Edward II (b. 1284). After Eleanor died, the king married Margaret of France, with whom he had two children: Thomas (b. 1300) and, when the king was sixty-two, Edmund. Edmund was born at Woodstock in Oxfordshire on 5 August 1301, and was therefore referred to as Edmund of Woodstock. Son of the English king, he was also, through his mother, grandson of Philip III of France. On 7 July 1307, before Edmund had turned six, King Edward I died, leaving Edmund's half-brother Edward to succeed as King Edward II. Though not resident in the two boys' household, Edward I had taken great interest in the princes' upbringing and well-being. Before he died, the king had promised to provide Edmund with substantial grants of land. 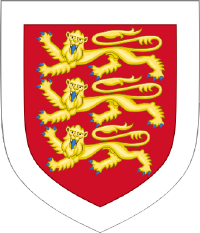 In August 1306, Edward I signed a charter promising Edmund land worth 7000 marks a year, and in May 1307, 1000 marks was added to this. He probably intended to give the earldom of Norfolk to Thomas, while Edmund would receive the earldom of Cornwall, which had been left vacant after Edward I's cousin Edmund died without children in 1300. When Edward II came to the throne, however, he went against his father's wishes by granting the earldom of Cornwall to his favourite Piers Gaveston. According to the chronicle Vita Edwardi Secundi, this act was a grave insult to the king's younger brothers. Edward II nevertheless took steps to provide his half-brother with an income; grants made in 1315 and 1319 secured Edmund 2000 marks a year. In May 1321, Edmund received the strategically important Gloucester Castle, and further grants followed his creation as Earl of Kent on 28 July 1321. Edward II's close relationship to Gaveston had been a source of conflict at court, and Gaveston's execution by a group of rebellious barons in 1312 had brought the country to the brink of civil war. As Edmund came of age, he became an important member of the circle around his brother. In 1318, the Treaty of Leake was drafted as an effort to reconcile the opposing parties, and Edmund – as his first public act – was among the witnesses to sign this treaty. Further official appointments followed. In the spring of 1320 he took part in an embassy to Pope John XXII in Avignon, where the mission was to absolve the king of his oath to uphold the Ordinances, a set of restrictions imposed on royal authority by the baronage. Later that year, he joined his brother the king in Amiens, where Edward was paying homage to the French king. In October 1320, Edmund attended his first parliament. As the political conflict escalated into full-scale rebellion in 1321–22, Edmund played an important role in its suppression. The opposition stemmed from resentment against the king's new favourites, Hugh Despenser the Younger and Hugh Despenser the Elder. When Bartholomew Badlesmere, steward of the royal household, defected to the opposition, Edward made his youngest brother Lord Warden of the Cinque Ports in place of Badlesmere on 16 June. In the parliament of July 1321, Edmund briefly sided with the opposition when he agreed to exile the Despensers, but later claimed this had been done under duress, and in November sat on the council that annulled the exile. In October, Edmund was once more employed in a move against Badlesmere, when he took part in a siege on Leeds Castle in Kent, which was held by Badlesmere. After Badlesmere was forced to surrender, hostilities moved to the Welsh Marches, where Roger Mortimer and others were in open revolt. Once confronted with the royal army, Mortimer surrendered without a fight, and attention turned to the leader of the baronial opposition, Thomas of Lancaster. Edmund, who had taken part in the Marcher campaign, was now ordered, with the Earl of Surrey, to take Lancaster's castle of Pontefract. On 17 March 1322, Lancaster was captured after his defeat at the Battle of Boroughbridge, and brought to Pontefract. Here, Edmund was on the jury that condemned him to death for treason. Even with Lancaster defeated, the battle against the rebels was not over. Edmund was charged with overtaking Wallingford Castle from Maurice de Berkeley in January 1323, a task which he fulfilled with great success. For his loyalty, Edmund was rewarded with substantial holdings in Wales, primarily land forfeited by Roger Mortimer. The greater part of the spoils of war, however, went to the Despensers, who both benefited greatly from the forfeiture of the rebels. By 1326, the Despensers, father and son respectively, enjoyed incomes of £3,800 and £7,000, while Edmund's annual income was at only 2,355 marks (£1,570). With domestic opposition largely neutralised, the king turned his attention to Scotland. A major campaign was organised in August, but the effort ended in total failure when the English were routed by the Scots, led by Robert the Bruce, at the Battle of Old Byland on 14 October 1322. Edward II himself had to flee the battlefield to avoid capture, and Edmund was with him as the royal army retreated to York. The king's inability to handle the Scottish situation was becoming apparent. Andrew Harclay, who had defeated Lancaster at Boroughbridge, and for this had been created Earl of Carlisle and appointed Warden of the Marches to Scotland, signed a peace treaty with the Scots without royal sanction in January 1323. When the king found out, he ordered Harclay's arrest. Edmund was one of the judges who passed judgement on Harclay, who was hanged, drawn and quartered for treason. With Harclay gone, Edmund was given responsibilities for the defence of the northern border, but the situation remained untenable. On 30 May 1323, Edmund was on the council that agreed to a thirteen-year truce with Scotland. Meanwhile, the English king's possessions in France were coming under threat from the French king. Charles IV of France demanded that Edward again pay homage for his Duchy of Aquitaine, while at the same time threatening to confiscate the duchy under the pretext of a local dispute involving the priory at Saint-Sardos. In April 1324, Edmund and Alexander de Bicknor, Archbishop of Dublin, were sent to France on a diplomatic mission. While some historians have criticised Edmund for his failure to reach a diplomatic settlement, others have pointed to the difficult circumstances he faced, and how others had fared little better. When diplomacy failed, Edmund was appointed Edward's lieutenant in France on 20 July 1324. Though there was a desperate need for reinforcements from England, these never arrived. In the short war that followed, the English lands were quickly overrun by the French, and Edmund was besieged at La Réole. Here he held out until 22 September, at which point he was forced to surrender and agree to a six-month truce. Edward II's refusal to pay homage to the French king was based on concern for his royal sovereignty, but also on fear of a potential resurgence of domestic resistance. For this reason, he sent his wife Isabella to negotiate with King Charles, who was her brother. The Queen departed for France on 9 March 1325, and in September she was joined by her son, the heir to the throne, Prince Edward. Isabella's negotiations were successful, and it was agreed that the young Prince Edward would perform homage in the king's place, which he did on 24 September. Not long after this, Edmund joined the queen and prince in Paris. A circle of opposition was emerging around the queen, including the exiled Roger Mortimer. Edmund, who had previously been steadfast in his support for his half-brother, now joined the plot against the king. Though he still distrusted Mortimer, his hatred for the Despensers seems to have been even greater at this point. When Edmund, along with the others, ignored the king's order to return to England, his lands were confiscated in March 1326. In August, Isabella and Mortimer invaded England with mercenary soldiers, and Edmund took part in the invasion. The invasion won the support of a great part of the English nobility, including Edmund's brother Thomas, and Henry, Earl of Lancaster, Thomas of Lancaster's brother. Edmund took part in the trials of the two Despensers, and in the council transferring power to Prince Edward, who was crowned King Edward III. For his participation in the coup, Edmund received a reward of land belonging to the Despensers, and the Earl of Arundel, who was also executed as a supporter of Edward II. As the Northern situation was still difficult, Edmund was given joint command of the Scottish Border with Lancaster, but the two fell out, and Lancaster was soon after given sole command. It did not take long for Edmund to grow disenchanted with the new regime; one source of contention was the dominant position at court of Mortimer, who has been described as Isabella's lover. In the autumn of 1328, Edmund and his brother Thomas joined Henry of Lancaster in a conspiracy against Isabella and Mortimer. The conspiracy was a product of shared interest, however, rather than strong personal ties. Once it became clear that it would fail, the two brothers abandoned the venture. After participating in the planned rebellion, Edmund became less popular at court. He was still allowed to accompany the king's wife Philippa to her coronation in January 1330, but his appearances at court became less frequent. At this point he became involved in another plot against the court, when he was convinced by rumours that his brother was still alive. It later emerged that Roger Mortimer himself was responsible for leading Edmund into this belief, in a form of entrapment. The plot was revealed, and in the parliament of March 1330 Edmund was indicted and condemned to death as a traitor. Upon hearing that the verdict was death, the condemned earl pleaded with Edward III for his life, offering to walk from Winchester to London with a rope around his neck as a sign of atonement. Edward III however knew that leniency was not an option for the aforementioned entrapment utilized by Mortimer could extend to him and potentially be subversive to his own kingship if his father, Edward II truly was alive. Thus Edward III sanctioned the killing of his uncle. It was almost impossible to find anyone willing to perform the execution of a man of royal blood, until a convicted murderer eventually beheaded Edmund in exchange for a pardon. Edmund's body was initially buried in a Franciscan church in Winchester, but it was removed to Westminster Abbey in 1331. The execution of a royal prince was a great provocation to the seventeen-year-old Edward III, who had not been informed about the decision, and it probably contributed to the king's decision to rise up against his protector. In 1330, Edward III carried out a coup installing himself in personal control of government, and Mortimer was executed. Among the charges against Mortimer was that of procuring Edmund's death, and the charges against the late earl of Kent were annulled. In late 1325, Edmund had married Margaret Wake, sister of Thomas Wake, Baron Wake of Liddell, and the couple had several children. His lands and titles descended on his oldest son by the same name, but this Edmund himself died in October 1331. The earldom then passed to the younger son John. [S746] Wikipedia, online http://Wikipedia.com, http://en.wikipedia.org/wiki/Margaret_of_France,_Queen_of_England. Biography*: Marie of Brabant (French: Marie de Brabant; 13 May 1254 – 12 January 1321) was Queen consort of France. Marie was born in Leuven, Brabant. She was a daughter of Henry III, Duke of Brabant, and Adelaide of Burgundy, daughter of Hugh IV, Duke of Burgundy. Marie's paternal grandparents were Henry II, Duke of Brabant, and his wife Marie of Hohenstaufen. Her maternal grandparents were Hugh IV, Duke of Burgundy, and his first wife Yolande of Dreux. Marie's siblings included Henry IV, Duke of Brabant, and John I, Duke of Brabant. Marie married on 21 August 1274, to Philip III of France. This was Philip's second marriage, after the death of his first wife, Isabella of Aragon. Isabella had already given birth to three surviving sons: Louis, Philip and Charles. Philip was under the strong influence of his mother, the dowager Queen of France, Margaret of Provence and his minion, surgeon and chamberlain (Chambellan) Pierre de La Broce (or Pierre de Brosse). Not being French, Marie stood out at the French court. In 1276, Philip's son and heir, Louis died, under suspicious circumstances. Marie was suspected of ordering him to be poisoned. La Brosse, who was also suspected, was imprisoned and later executed for the murder. 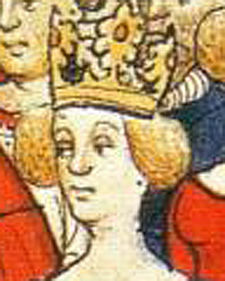 Margaret suspected Marie of ordering the death of Louis and Philip did seem to agree more with his mother than his wife. After the death of Philip III in 1285, Marie lost some of her political influence, and dedicated her life to her three children. Her stepson, Philip was crowned king of France, as Philip IV, on 6 January 1286 in Reims. Together with Joan I of Navarre and Blanche of Artois, she negotiated peace in 1294 between England and France with Edmund Crouchback, the younger brother of Edward I of England. Marie lived right through Philip IV's reign and she had outlived all three children. Louis (May 1276 – 19 May 1319), Count of Évreux, married Margaret of Artois. [S746] Wikipedia, online http://Wikipedia.com, http://en.wikipedia.org/wiki/Marie_of_Brabant,_Queen_of_France. [S746] Wikipedia, online http://Wikipedia.com, http://en.wikipedia.org/wiki/Henry_III,_Duke_of_Brabant. [S746] Wikipedia, online http://Wikipedia.com, http://en.wikipedia.org/wiki/Adelaide_of_Burgundy,_Duchess_of_Brabant. Biography*: Margaret of France (c. 1279 – 14 February 1318), a daughter of Philip III of France and Maria of Brabant, was Queen of England as the second wife of King Edward I. Her father died when she was three years old and she grew up under guidance of her mother and Joan I of Navarre, her half-brother King Philip IV's wife. The death of Edward's beloved first wife, Eleanor of Castile, at the age of 49 in 1290, left him reeling in grief. However, it was much to Edward's benefit to make peace with France to free him to pursue his wars in Scotland. Additionally, with only one surviving son, Edward was anxious to protect the English throne with additional heirs. In summer of 1291, the English king had betrothed his son and heir, Edward, to Blanche of France in order to achieve peace with France. However, hearing of her renowned beauty, Edward decided to have his son's bride for his own and sent emissaries to France. Philip agreed to give Blanche to Edward on the following conditions: that a truce would be concluded between the two countries and that Edward would give up the province of Gascony. Edward agreed to the conditions and sent his brother Edmund Crouchback, Earl of Lancaster, to fetch the new bride. Edward had been deceived, for Blanche was to be married to Rudolph III of Habsburg, the eldest son of King Albert I of Germany. Instead, Philip offered her younger sister Margaret to marry Edward (then 55). Upon hearing this, Edward declared war on France, refusing to marry Margaret. After five years, a truce was agreed upon under the influence of Pope Boniface VIII. A series of treaties in the first half of 1299 provided terms for a double marriage: Edward I would marry Margaret and his son would marry Isabella of France, Philip's youngest surviving child. Additionally, the English monarchy would regain the key city of Guienne and receive £15,000 owed to Margaret as well as the return of Eleanor of Castile's lands in Ponthieu and Montreuil as a dower first for Margaret, and then Isabella of France. Edward was then 60 years old, at least 40 years older than his bride. The wedding took place at Canterbury on 8 September 1299. Margaret was never crowned, being the first uncrowned queen since the Conquest. This in no way lessened her dignity as the king's wife, however, for she used the royal title in her letters and documents, and appeared publicly wearing a crown even though she had not received one during a formal rite of investiture. Edward soon returned to the Scottish border to continue his campaigns and left Margaret in London, but she had become pregnant quickly after the wedding. After several months, bored and lonely, the young queen decided to join her husband. Nothing could have pleased the king more, for Margaret's actions reminded him of his first wife Eleanor, who had had two of her sixteen children abroad. In less than a year Margaret gave birth to a son, Thomas of Brotherton who was named after Thomas Becket, since she had prayed to him during her pregnancy. That Margaret was physically fit was demonstrated by the fact that she was still hunting when her labour pains started. The next year she gave birth to another son, Edmund. It is said that many who fell under the king's wrath were saved from too stern a punishment by the queen's influence over her husband, and the statement, Pardoned solely on the intercession of our dearest consort, queen Margaret of England, appears. In 1305, the young queen acted as a mediator between her step-son and husband, reconciling the heir to his aging father, and calming her husband's wrath. She favored the Franciscan order and was a benefactress of a new foundation at Newgate. Margaret employed the minstrel Guy de Psaltery and both she and her husband liked to play chess. She and her stepson, Edward, Prince of Wales, the future king Edward II (who was two years younger than she), also became fond of each other: he once made her a gift of an expensive ruby and gold ring, and she on one occasion rescued many of the Prince's friends from the wrath of the King. The mismatched couple were blissfully happy. When Blanche died in 1305 (her husband never became Emperor), Edward ordered all the court to go into mourning to please his queen. He had realised the wife he had gained was "a pearl of great price" as Margaret was respected for her beauty, virtue, and piety. The same year Margaret gave birth to a girl, Eleanor, named in honour of Edward's first wife, a choice which surprised many, and showed Margaret's unjealous nature. When Edward went on summer campaign to Scotland in 1307, Margaret accompanied him, but he died in Burgh by Sands. Margaret never remarried after Edward's death in 1307, despite being only 26 when widowed. She was alleged to have stated that "when Edward died, all men died for me". Margaret was not pleased when Edward II elevated Piers Gaveston to become Earl of Cornwall upon his father's death, since the title had been meant for one of her own sons. She attended the new king's wedding to her half-niece, Isabella of France, and a silver casket was made with both their arms. After Isabella's coronation, Margaret retired to Marlborough Castle (which was by this time a dower house), but she stayed in touch with the new Queen and with her half-brother Philip IV by letter during the confusing times leading up to Gaveston's death in 1312. Margaret, too, was a victim of Gaveston's influence over her step-son. Edward II gave several of her dower lands to the favourite, including Berkhamsted Castle. In May 1308, an anonymous informer reported that Margaret had provided ?40,000 along with her brother, Philip IV, to support the English barons against Gaveston. Due to this action, Gaveston was briefly exiled and Margaret remained fairly unmolested by the upstart until his death in June 1312. She was present at the birth of the future Edward III in November 1312. On February 14, 1318, she died in her castle at Marlborough. Dressed in a Franciscan habit, she was buried at Christ Church Greyfriars in London, a church she had generously endowed. Her tomb, beautifully carved, was destroyed during the Reformation. Name Variation: Alan de Galloway Lord of Galloway was also known as Alan of Galloway. Biography*: Alan of Galloway (born before 1199, died 1234), also known as Alan fitz Roland, was a leading thirteenth-century Scottish magnate. As the hereditary Lord of Galloway and Constable of Scotland, he was one of the most influential men in the Kingdom of Scotland and Irish Sea zone. Alan first appears in courtly circles in about 1200, about the time he inherited his father's possessions and offices. After he secured his mother's inheritance almost almost two decades later, Alan became one of the most powerful magnates in the Scottish realm. Alan also held lands in the Kingdom of England, and was one of John, King of England's advisors concerning Magna Carta. Alan later played a considerable part in Alexander II, King of Scotland's northern English ambitions during the violent aftermath of John's repudiation of Magna Carta. Alan participated in the English colonisation of Ulster, receiving a massive grant in the region from the English king, and simultaneously aided the Scottish crown against rebel claimants in the western and northern peripheries of the Scottish realm. Alan entered into a vicious inter-dynastic struggle for control of the Kingdom of the Isles, supporting one of his kinsman against another. Alan's involvement in the Isles, a region under nominal Norwegian authority, provoked a massive military response by Hákon Hákonarson, King of Norway, causing a severe crisis for the Scottish crown. As ruler of the semi-autonomous Lordship of Galloway, Alan was courted by the Scottish and English kings for his remarkable military might, and was noted in Norse saga-accounts as one of the greatest warriors of his time. Like other members of his family, he was a generous religious patron. Alan died in February 1234. Although under the traditional Celtic custom of Galloway, Alan's illegitimate son could have succeeded to the Lordship of Galloway, under the feudal custom of the Scottish realm, Alan's nearest heirs were his surviving daughters. Using Alan's death as an opportunity to further integrate Galloway within his realm, Alexander forced the partition of the lordship amongst Alan's daughters. Alan was the last legitimate ruler of Galloway, descending from the native dynasty of Fergus, Lord of Galloway. Alan was born sometime before 1199. He was the eldest son of Roland, Lord of Galloway (died 1200), and his wife, Helen de Morville (died 1217). His parent's were likely married before 1185, possibly at some point in the 1170s, since Roland was compelled to hand over three sons as hostages to Henry II, King of England in 1186. Roland and Helen had three sons, and two daughters. The name of one of Alan's brothers is unknown, suggesting that he died young. The other, Thomas (died 1231), became Earl of Atholl by right of his wife. One of Alan's sisters, Ada, married Walter Bisset, Lord of Aboyne. The other, Dervorguilla, married Nicholas de Stuteville, Lord of Liddel (died 1233). Alan's mother was the sister and heir of William de Morville, Lord of Lauderdale and Cunningham, Constable of Scotland (died 1196). Alan's father was the eldest son of Uhtred, Lord of Galloway (died 1174), son of Fergus, Lord of Galloway (died 1161). The familial origins of Fergus are unknown, and he first appears on record in 1136. The mother of at least two of his children, Uhtred and Affraic, was an unknown daughter of Henry I, King of England. It was probably not long after Fergus' emergence into recorded history that he gave away Affraic in marriage to Amlaíb mac Gofraid, King of the Isles. One after-effect of these early twelfth-century marital alliances was that Alan—Fergus' great-grandson—was a blood relative of the early thirteenth-century kings of England and the kings of the Isles—men who proved to be important players throughout Alan's career. Roland died in December 1200, after which Alan succeeded to the lordship of Galloway. Alan also inherited the constableship of Scotland, a pre-eminent position which had passed to Roland from the Morvilles by right of Roland's wife, the only surviving heir of Richard de Morville. As constable, Alan, like the earls of the realm, was responsible for leading the king's royal forces. It is uncertain whether the constable of this period took precedence over the earls in command of the king's army, or if the constable had charge of the realm's numerous marischals. His attachment to the importance of his posisition as constable is evidenced by the fact that this title tends to have taken priorty over his hereditary title as ruler of Galloway. Even before Roland's death, Alan was active in courtly circles, perhaps serving as his father's deputy. Alan's first known important attestation occurs late in December 1199, when he witnessed a royal charter at Forfar. From this point in his career until 1209, Alan appears to have been most often in the attendance of the Scottish king, witnessing several of the latter's royal charters. Alan's eminent standing in society is partly evidenced by the fact that, within these sources, his name tends to appear amongst the top four recorded names, and is usually the first name of non-comital rank. His second marriage, in about 1209, to the king's niece, Margaret (died before 1228), eldest daughter of David, Earl of Huntingdon (died 1219) also reveals Alan's significant social standing. From about 1210 to 1215, his activity in Scottish affairs dwindles dramatically, whilst his activity in English affairs increases steadily. At some point in the first quarter of the thirteenth century, Alan was granted a vast swathe of territory in Ulster from John, King of England. The transaction itself almost certainly took place in the aftermath of the John's expedition to Ireland in 1210. The exact date of the transaction, however, cannot be ascertained due to a gap in English charter records between the months of April 1209 and May 1212. The brunt of John's nine-week Irish campaign appears to have been directed at wayward Anglo-Norman magnates—the troublesome Lacy family in particular. With his subsequent destruction of Hugh de Lacy, Earl of Ulster (died 1242), and the confiscation of the latter's Irish earldom, John was evidently in a position to reward his own supporters with the Lacys' former possessions. A date of 1210 for Alan's grant, as well as the possibility of his participation in the English expedition of the same year, may be evidenced by the record of a certain "Alan, son of Roland" in the king's service that year. Other sources, however, point to 1212 as the year of Alan's grant. For instance, the fourteenth-century chronicler John Fordun (died in or after 1363) stated that, when the English and Scottish kings concluded their treaty at Norham in February 1212, Alan did homage for the "extensive" Irish lands that the English king had given him. The fifteenth-century historian Walter Bower (died 1449) echoed this statement, adding that Alan obtained a lordship of one hundred sixty knights' fees, and took an oath on William's behalf to uphold the treaty. Certain documentary sources appear to lend credibility to aforementioned accounts. Specifically, a confirmation charter from John to Alan, dating to 1215; a somewhat dubious copy of a letter from William to John, which makes reference to Alan's seal; and the copy of a letter from the Irish justiciar concerning the delivery of seisin to Alan's proxies, which appears to date to April or May 1212. There is reason to suspect that Alan obtained William's approval in regard to his dealings with John. In 1211, Ross and Moray, the northern peripheries of the Scottish realm, were invaded by Gofraid mac Domnaill (died 1212), a member of the meic Uilleim, a kindred that contested the kingship. Facing continued opposition early in 1212, William likely undertook the treaty negotiations at Norham as a means of retaining good relations with John, and the agreement itself was likely concluded in the context of shared security concerns. The meic Uilleim appear to have drawn support against the Scottish crown from peripheral regions of the realm, and likely from Gaelic Ulster as well. In fact, Gofraid's invasion may well have been based from Ulster, and could have been an after-effect of John's campaign there. The most powerful native Gaelic ruler in the region during this period was Áed Méith Ua Néill, King of Tír Eoghain (died 1230), a figure who appears to have not only seized upon the power vacuum created by Hugh's fall, but may have also aided the meic Uilleim insurrection in Scotland. The successful implementation of Alan's massive grant in Ulster, therefore, would have not only served English interests in the region, but would have also dramatically increased the security of the Scottish realm. In effect, the alliance between John and Alan appears to have been a coordinated campaign constructed by the English and Scottish crowns in an effort to secure the control of outlying territories where their royal authority was disputed. The territories granted to Alan encompassed most of what is today County Antrim and County Londonderry, stretching from Glenarm to Coleraine. The vast scale of Alan's allotment suggests that it was almost certainly a speculative grant, with little prospect that he could assemble the necessary men and resources to enfeoff and populate the area. Furthermore, his territories lay on the fringes of former Lacy power, in a region where native Gaelic power was still strong. Alan was not the only member of his family allotted Ulster lands from the English. His brother, Thomas, and his cousin, Donnchad mac Gilla Brigte, Earl of Carrick, also received grants of lands nearby. In July 1212, John summoned Alan to send one thousand of the "best and most vigorous" Gallovidian troops to assist the English forces in a planned campaign directed at northern Wales. The fact that William appears to have been in John's presence at Carlisle in late June, conceivably with Alan and Thomas as well, suggests that John's solicitation for Alan's military support had William's consent. In fact, the Scots had previously received military aid against the meic Uilleim in the form of Brabantine mercenaries lent by John, which may reveal that William used John's summons as an opportunity to make recompense. Although Alan accepted the summons, he refused to pay for the troops' upkeep as John had originally requested. This may show that Alan reasoned that his refusal would avoid any suggestion that Galloway owed England military service. Late in 1214, William died and was succeeded by his son, Alexander II. Shortly after the latter's coronation, Fordun recorded that Alan's right to the constableship was confirmed by the young king. Up until 1215, Alan was able to successfully serve both his liege lords, the kings of England and Scotland. As time progressed, however, the political situation in England began to deteriorate, and John faced ever-mounting baronial resistance. Meanwhile in Scotland, Alexander associated himself with some John's leading opponents. Although Alan likely attempted to maintain dual allegiances for as long as possible, he soon threw in his lot with John's cause. From about January to Easter, John had been in continuous negotiations with the rebel barons. On 5 May 1215, after a breakdown in mediations, the rebels renounced their fealty to the king. On the same day, John authorised a prest of three hundred merks to Alan, an act that appears to reveal the importance that the king placed upon Alan's substantial military arsenal. Midway through June, John was forced to accept the terms of his opponents, and so confirmed the charter of liberties known as Magna Carta, a concession that led to most of the rebel barons to renew their pledges of homage to the king. Alan's involvement in the negotiations is evidenced by the fact that he was in the king's presence in Windsor on 3 June, when he is recorded to have exchanged gifts with the king; and by the fact that Alan's name is one of twenty-seven advisors recorded in the preamble of the charter, revealing that he was one of the magnates who counselled the king regarding the document. Clear evidence of Alan's influence on the deliberations may be the inclusion of a provision—clause 59—requiring John to satisfy certain grievances claimed by Alexander. By the end of June, Alan was confirmed in his Irish lands; whilst Thomas received custody of the castle of Antrim, and was granted an Ulster lordship centred at Coleraine. When John later repudiated Magna Carta, and Alexander took up arms against him, Alan sided with the latter, and appears to have taken a considerable part in the subsequent conflict. In 1216, for instance, Alan was identified as a rebel in arms by an English government memorandum, and the Chronicle of Melrose reports that Gallovidians formed part of the Scottish army that invaded Northumberland in July 1217. Furthermore, when the English ordered Alexander to hand over custody of the castle of Carlisle in September 1217, Alan's name was also included in the correspondence directed at the Scots. A particular war-time charter granted by Alan, confirming the lands of Kirkby Thore and Hillbeck to John of Newbiggin, also evidences Alan's allegiance with Alexander against John. Although these particular lands laid within Westmorland, and had been granted by John to Robert de Vieuxpont (died 1228) in 1203, Alan's Morville ancestors had held the district as late as 1173, giving him a claim to the region. The charter itself may have been granted in Westmorland, no earlier than about June 1216 and no later than about October 1217, and indicates that Robert's effective overlordship of the region had been superseded by Alan. The names of many of those who attested the charter had strong familial or tenurial connections with Scotland, and many were open opponents of John. Not only does the charter reveal that Alan pursued territorial claims whilst serving Scottish interests, but it forms part of a body of evidence suggesting that Alexander envisaged the imposition of Scottish royal authority over Northumberland. Although Alan's war-time acquisitions in northern England were only temporary, appearing to have lasted about a year, the after-effects of his influence reverberated for years to come. For instance, in about 1219 his cle[rk was indicted for unlawfully drawing revenues in Penrith, and in 1223 Robert de Vieuxpont was still having difficulty regaining possession of lands that Alan had confirmed to John of Newbiggin. The peace secured between the English and Scottish kings did not lead to Alan's speedily return to business south of the border. Contributing factors to Alan's tardiness in English affairs were likely the death of his mother in June 1217, and his subsequent succession to the Morville inheritance of Lauderdale and Cunninghame, substantial territorial blocks within the Scottish realm. In fact, Alan does not appear to have enjoyed the same amiable relationship with Henry's regime as he had during John's administration, and it wasn't until 1220 that matters concerning Alan's fealty to Henry, and the confirmation of Alan's English and Irish estates were finally settled. In April of that year, Henry ordered that Alan was to be given seisin of his Ulster lands, and directed the latter to attend the upcoming summit between Alexander and himself at York. Consequently in June, Alan rendered homage to Henry at the aforementioned assembly, where he duly received confirmation of his English and Irish possessions, and was one of the twelve Scottish magnates who swore to uphold Alexander's oath that the latter would marry one of Henry's sisters, either Joan (died 1238) or Isabella (died 1241). Little is certain of Alan's activities in the early 1220s, although his position as constable suggests that he was involved in Alexander's peripheral campaigns during these years. One such operation, directed deep into the Highlands against a certain Domnall mac Niall, seems to have been based from Inverness, and perhaps directed into the Strathspey and Great Glen regions. Alexander's success in this campaign may have led to his establishment of the Comyns in Badenoch, and to the creation of lordships in Stratherrick, Boleskine, and Abertarff. It is unknown if this campaign was connected to the maritime operations undertaken by Alan's brother in the same year. According to the Annals of Loch Cé, Thomas had slain Diarmait Ua Conchobair (died 1221), a claimant to the kingship of Connacht, whilst the latter was en route to Connacht with a mercenary fleet recruited in the Hebrides. In fact, this clash may have been related to an ultimately unsuccessful Scottish intrusion into Argyll in the same year. The only record of this Argyllian campaign is preserved by Fordun, who noted that Alexander's forces included Gallovidians. Both Fordun and the Original Chronicle, by Andrew Wyntoun (died c. 1422), reveal that Alexander's troops mounted a second and successful assault the following year, resulting in the region's submission. The target of Alexander's animosity may have been Ruaidrí mac Ragnaill, Lord of Kintyre, who appears to have held Kintyre and the outer Islands of the Clyde. It is uncertain if the latter had been aiding the meic Uilleim, although his recorded involvement with Thomas in 1212 against the Cenél nEógain suggests otherwise. If, on the other hand, Ruaidrí had involved himself with Diarmait, an opponent of Henry's ally Cathal Crobderg Ua Conchobair, King of Connacht (died 1224), Ruaidrí would have placed himself at odds with both English and Scottish interests. Whatever the case, following the second royal campaign into Argyll, Alexander soon consolidated his authority in the Firth of Clyde through the apparent expulsion of Ruaidrí, the construction of a royal castle at Tarbert, the erection of a royal burgh at Dumbarton in 1222, and the eventual endowment of Cowal to the family of the royal steward. In 1223 and 1224, Hugh de Lacy waged war to recover his former Irish lands, allied himself to Áed Méith, and soon overran most of Ulster. In regard to Alan's family during this resurgence, the Annals of Ulster reveal that Áed Méith destroyed Thomas' castle at Coleraine. Alan wrote to Henry in 1224, stating that he had been active in the king's service from June to September, and was about to launch a planned invasion of Ireland, but had just received intelligence indicating that a deal had been concluded between Hugh and the justiciar; additionally in his letter, Alan asked the king for confirmation of such a truce, and requested, in the event that Hugh were to be restored to favour, that his own and his brother's lands would be safeguarded by the king. Although Alan received a royal licence to colonise his Irish lands the following year, there is no evidence that he or his brother were able to develop them. Late in 1225, Thomas received monetary aid from the king in the form of an annuity of one hundred marks, likely meant to cover the military and territorial losses suffered by Thomas in Ulster. Despite the reassurances from the English that the brothers' lands were to be protected, there is evidence suggesting that, by as late as 1227, their lands were still under threat from Hugh. In 1229, Alan and Thomas were listed amongst other Irish tenants-in-chief summoned to take part in a planned English military campaign in France. Although Thomas obeyed the king, Alan—who had not received royal compensation for his toils in Ireland—declined Henry's summons. It was likely in the same year that Alan married Hugh's daughter, Rose (died after 1237), as recorded by the Chronicle of Lanercost. It is possible that Alan commenced this union in an effort to salvage something of his family's prospects in Ulster which had by then fallen under Hugh's overlordship. Whatever the case, the Irish ambitions that Alan had doggedly pursued since 1212 had finally come to an end. Although the return and restoration of Hugh almost certainly contributed to Alan's inability to succeed in Ulster, the latter may have overextended his resources pursuing interests in the Isles. When Gofraid mac Amlaíb, King of the Isles died in 1187, he had apparently intended that his younger son, Amlaíb Dub (died 1237), would succeed to the kingship. Since the latter had been only a child at the time, the Islesmen instead inaugurated Ragnall (died 1229), Gofraid's eldest (albeit illegitimate) son. As the first quarter of the thirteenth century began to wane, contentions between the half-brothers broke out into outright war, and Alan is recorded aiding Ragnall against Amlaíb Dub. From the perspective of the Scots, the instability in the Isles was almost certainly a cause for concern. Conflict amongst the Islesmen could have led to hostilities overflowing into the Scottish realm, and feuding in the Isles could have been exploited by elements opposed to the Scottish crown. As a result, it is possible that Scots decided to support one half-brother against another, in the expectation that the victor would destroy the power of his rival, thus restoring stability in the region. Of the two, Ragnall appears to have been the most palatable to the Scots, and may have been a key player in Scottish plans to counter the threat of the meic Uilleim, and their probable Ulster supporters, the Uí Néill. In about 1225, the Chronicle of Mann records that Alan aided Ragnall in an unsuccessful military expedition in the Hebrides against Amlaíb Dub. Shortly afterwards in about 1225 or 1226, the same source states that an unnamed daughter of Ragnall married Thomas, Alan's illegitimate son. Unfortunately for Ragnall, the marital alliance appears to have cost him the kingship, since the chronicle records that the Manxmen had him removed from power and replaced with Amlaíb Dub. The recorded resentment of the marital alliance may indicate that Alan's son was intended to eventually succeed Ragnall, who was perhaps about sixty years-old at the time. A plan intended to place a Scottish magnate's son on the throne would have been almost certainly encouraged by the Scottish crown, considering its potential to bring stability to the region, and the prospect of expanding Scottish royal authority. Following his expulsion, Ragnall appears to gone into exile at Alan's court in Galloway. In 1228, whilst Amlaíb Dub and his chieftains were absent in Hebrides, the chronicle records the invasion of Mann by Ragnall, Alan, and Thomas. The attack appears to have resulted in the complete devastation of the southern half of the island, since the chronicle declares that it was almost reduced to a desert. The chronicle's report that Alan installed bailiffs on Mann, with instructions to collect tribute from the island and send it back to Galloway, may reveal the price that Ragnall had to pay for Alan's support in the affair. Suffering serious setbacks at the hands of his enemies, Amlaíb Dub reached out for English assistance against Ragnall, as evidenced from correspondence dating to the same year, between Henry and Amlaíb Dub, in which the latter alluded to aggression dealt from Alan. Gallovidian successes were short-lived, however, as once Alan left Mann for home, Amlaíb Dub and his forces arrived on the scene, and routed the remaining Gallovidians. Early in January 1229, Ragnall launched yet another invasion of Mann. Although the chronicle's description of the attack alludes to Gallovidian involvement, as it states that the expedition originated from Galloway, the fact that Ragnall commanded only five ships suggests that this support may have been waning. Weeks later, Ragnall and Amlaíb Dub met in battle on Mann, where the former was finally defeated and slain. The lack of substantial Gallovidan support in Ragnall's final foray may have been due to a flare-up of insurrection in Scotland that required Alan's immediate attention as constable of the realm. According to Bower, a certain Gilla Escoip (died 1229), who was almost certainly a meic Uilleim, had burned the castle of Abertarff and sacked Inverness. Alexander's presence at Elgin in June 1228 corroborates Bower's claim that royal forces operated in the north against Gilla Escoip. The campaign itself appears to have been long and arduous, as Bower reports that Gilla Escoip and his two sons were slain in the following year. Alexander appears to have conducted further operations in the north in 1230, about the time that the meic Uilleim were extirpated once and for all. Although Alan's marital alliance with Ragnall had likely been welcomed by the Scottish crown, the fact that the two were unable to quickly deal with Amlaíb Dub caused serious repercussions. The meic Uilleim insurrection of 1228–1230, for instance, may have been a byproduct of the instability prolonged by Alan's involvement in the Isles. Even so, Alan's actions appear to have also led to the end of Irish support for the meic Uilleim. If he had indeed married Rose in 1229, for instance, this union may well have compelled her father to disassociate Áed Méith from lending support to the meic Uilleim. Whatever the case, Uí Néill ambitions in the Isles appear to have come to an abrupt end with Áed Méith's death the following year, after-which the latter's kin became embroiled for years in a struggle against the meic Lochlainn over the kingship of Tír Eoghain. The death of Alan's ally did not deter Gallovidian interests in the Isles. In fact, it is probable that he and members of the meic Somairle—Dubgall and Donnchad, sons of Dubgall mac Somairle—continued to harass the recently inaugurated Amlaíb Dub. According to Hákonar saga Hákonarsonar, reports of open warfare in the Isles reached the court of Hákon Hákonarson, King of Norway (died 1263), the nominal overlord of the Isles, in the summer of 1229. Specifically, the saga singles out the aforementioned sons of Dubgall mac Somairle as "unfaithful" to the Norwegian king, and several versions of the source describe Alan as the "greatest warrior at that time", possessing a large force of men and ships with which he plundered throughout the Hebrides. Early in 1230, Amlaíb Dub arrived at the king's court, having been forced from the Isles by Alan and his allies. Several versions of the saga allege that Alan had boasted that it was no harder to sail to Norway than it was to sail from Norway to Scotland, suggesting that Alan thought himself capable of even invading Norway. In fact, this bluster may well have been designed by Amlaíb Dub to direct further Norse animosity at Alan. Whatever the case, the saga reveals that Hákon had begun preparations for a military campaign in the Isles well before Amlaíb Dub's arrival. In fact, the king is stated to have appointed a certain Óspakr Ögmundsson as King of the Isles, giving him command of the Norwegian fleet tasked with restoring peace in the region. Within days of Amlaíb Dub's arrival in Norway, Óspakr's twelve-ship fleet set sail for the Isles, gaining another twenty after reaching Orkney. The campaign itself is documented in several sources, such as the Chronicle of Mann, the Chronicle of Lanercost, and the Icelandic annals, with the most detailed source being Hákonar saga Hákonarsonar. Once in the Isles at Islay, the fleet met up with three members of the meic Somairle, apparently kinsmen of Óspakr, including the aforementioned sons of Dubgall mac Somairle. At about this point, the saga states that the fleet had reached a size of eighty ships, a number which suggests a fighting force of an about three thousand men. Meanwhile, news of the gathering Norse fleet reached Alexander, who appears to have made straight for the western coast, diverting his attention to the now rapidly developing crisis. On 28 May, Alan is recorded in the presence of the king at Ayr, where the Scottish royal forces appear to have assembled. It was probably June when the Norse fleet finally rounded Kintyre, entered the Firth of Clyde, and made landfall on Bute, where Óspakr's forces stormed and captured the castle of Rothesay. The fortress itself was a holding of Walter fitz Alan, Steward of Scotland (died 1241), which may well reveal the anxiety felt by the meic Somairle in the face of the steward's steadily increasing regional influence. Reports that Alan was in the vicinity, at the command of a massive fleet, forced the Norse to withdraw to Kintyre. In fact, the Eirspennill version of the saga numbers Alan's fleet at almost two hundred ships, whilst the Flateyjarbók, Frisbók, and Skálholtsbók versions number it at one hundred and fifty. These totals suggest that Alan commanded a force of two thousand or three thousand men. It was perhaps following the Norse withdrawal to Kintyre that Óspakr succumbed to wounds suffered on Bute, whereupon command was assumed by Amlaíb Dub. The latter then used the fleet to serve his own needs, diverting it to Mann, where he used it to reinstate himself on the island. There the Norwegians overwintered before returning for home in 1231, and following the death of Ragnall's illegitimate son Gofraid Donn, King of the Isles the same year, Amlaíb Dub regained complete control of the island kingdom. The events of 1230–1231 marked a dramatic end of Alan's ambitions in the Isles. Even though it had not been his intention, Alan's prolonged campaigning against Amlaíb Dub had caused a grave international crisis. In fact, the Norse had not been intent on solely restoring order in the Isles, but had directed their retaliatory campaign squarely at Scottish-held territories, thereby endangering the recent westward advances of the Scottish crown. Although Alan's unexpected appearance in force off Kintyre had overawed the Norse, the Scots had only narrowly averted full scale war, and as a result, Alan almost certainly incurred Alexander's subsequent displeasure. Alan was married three times. His first wife appears to have been a daughter of Roger de Lacy, Constable of Chester. It was likely upon this union that Alan gained the English lordship of Kippax as maritagium from his father-in-law. Alan's second marriage, to David's daughter Margaret, is dated to 1209 by the Chronicle of Lanercost and Chronicle of Melrose. The date of Alan's third marriage, to Hugh's daughter Rose, is generally thought to date to 1229, as stated by the Chronicle of Lanercost. Another possible date for this marriage is about a decade earlier. Alan's second marriage, therefore, allied him to the Scottish royal family, and his first and second marriages allied him to the two main branches of the powerful Lacy family—firstly the Pontefract branch, and afterwards the Woebley branch. Alan had several children from his first two marriages, although only daughters appear to have reached adulthood. One daughter from his first marriage died whilst a Scottish hostage of the English king, her death being reported in June 1213. Helen, another daughter from Alan's first marriage, married Roger de Quincy (died 1264). Although the date of this union is unknown, it was probably on this occasion that her husband came into possession of Kippax. At some point before 1234, Christiana, one of Alan's daughters from his second marriage, married William de Forz (died 1260). In 1233, Dervorguilla (died 1290), a younger daughter from Alan's second marriage, married John de Balliol, Lord of Barnard Castle (died 1268). In addition to his illegitimate son Thomas, Alan had a like-named legitimate son. The latter, a product of Alan's second marriage, was his only known legitimate male offspring. Although the date of this son's death is unknown, he may have lived into in the 1220s. Thomas, Alan's brother, died in 1231, possibly from injuries suffered in a tournament accident. Alan's death, about three years later in 1234, is recorded by the Annals of Ulster, the Chronicle of Melrose, and the Chronicle of Lanercost—the later specifying the month February. Alan's body was interred at Dundrennan Abbey, a Cistercian religious house founded by his paternal great-grandfather. There amongst the monastic ruins, a particular dilapidated effigy of grey stone is generally identified as his. As the last Gallovidian ruler in the legitimate patrilineal line descended from Fergus, Alan's death brought an abrupt end to about half a century of stable Gallovidian rule under he and his father, and the lack of a legitimate male heir to succeed himself led to a sudden succession crisis. It is possible that Alan had hoped that his illegitimate son, Thomas, would be able succeed to the lordship. Celtic custom would not have barred the latter from the succession. According to feudal practice, however, Alan's nearest heirs were his three daughters. As it turned out, the Gallovidian succession was quickly seized upon by the Scottish crown. The prospect of Alan's illegitimate son succeeding to the lordship threatened to reignite Gallovdian interests in the Isles, and thereby threatened the welfare of the Scottish realm. On the other hand, the husbands of Alan's daughters were prominent men of Anglo-Norman descent, and the prospect of bringing about the demise of the semi-autonomous lordship, through its division between such imminent Englishmen, was an advantageous opportunity that Alexander could not pass up. Although it is possible that the people of Galloway regarded Alan's illegitimate son as their rightful lord the Chronicle of Melrose states that they appealed to Alexander to take the whole lordship into his own hands, suggesting that whilst the Gallovidians were willing to accept that illegitimacy indeed excluded Alan's son from the inheritance, they were unwilling to accept female succession. Whatever the case, Alexander denied the Gallovidian's their request, quickly crushed their subsequent retaliatory uprising, and went ahead with the tripartite partitioning. One of the Scots who played a key part in the king's destruction of the Gallovidian resistance was Ferchar mac in tSagairt, Earl of Ross (died c. 1251), a rising star in Alexander's administration, who happened to be Amlaíb Dub's father-in-law. Following Alan's death, the constableship passed to Roger de Quincy, husband of Alan's eldest surviving daughter, Helen. Alan's Irish lands were not inherited by his daughters. Forty years after his death, these lands are recorded in the hands of the Bissets, although precisely how this came about is uncertain. The succession of the Irish and Gallovidian lands of Alan's brother, Thomas, is also uncertain. In fact, Thomas' lands should have passed to his son, Patrick (died 1242), had the latter not died on the eve of his inheritance (under suspicious circumstances, apparently at the hands of the Bissets). Throughout his career, Alan appears to have moved seamlessly between the native Gaelic environment of Galloway, and the Frankish cultural environment of the English and Scottish royal courts. In this respect, Alan followed in his father's footsteps, who first appears in records under the native Gaelic name Lochlainn, before adopting the continental Roland. In fact, Alan's own name may also be evidence of Frankish influence on his family. Surviving charters concerning Alan's lordship reveal that his dependants were almost exclusively drawn from the Frankish milieu. Few of these sources concern Galloway specifically, however, and not one concerns the ancestral Gallovidian patrimony. Comparatively more charter evidence survives documenting the holdings of his cousin, Donnchad, who ruled nearby Carrick. In contrast to the acta concerning Alan, these sources reveal that many of Donnchad's dependants were drawn from the native aristocracy, which could be evidence that Alan's lordship in Galloway followed a similar course. Although it is debatable to what extent the dramatic events of 1230–1231 influenced Alexander's break-up of Galloway, Alan's standing in the king's service diminished after 1231 and starkly contrasted that of the royal steward, Walter fitz Alan. As the lord of Renfrew, North Kyle and Bute, and allied in marriage to the nearby earls of Carrick and Lennox, the steward was the most powerful Scottish magnate in the Clyde region after Alan. Whilst Alan's career declined, the climb of the steward's steward's standing can be gauged with his reception of the office of Justiciar of Scotia and his continued consolidation of Cowal. Alexander, therefore, appears to have turned from Alan to Walter fitz Alan, entrusting the latter with the task of imposing royal authority further west into Argyll. Biography*: Lochlann (or Lachlan) (died December 12, 1200), also known by his French name Roland, was the son and successor of Uchtred, Lord of Galloway as the "Lord" or "sub-king" of eastern Galloway. After the death of his uncle Gille Brigte in 1185, Lochlann went about to seize the land of Gille Brigte's heirs. In this aim he had to defeat the men who would defy his authority in the name of Gille Brigte's heir. He seems to have done so, defeating the resistors, who were led by men called Gille Pátraic and Henric Cennédig. Yet resistance continued under a warrior called Gille Coluim of Galloway. Lochlann's aims moreover encouraged the wrath of a more important political figure that any of the above. King Henry II of England was outraged. A few years before Gille Brigte's death, Henry had taken his son and successor Donnchad as a hostage. Hence Henry was the patron and protector of the man Lochlann was trying to disinherit. When King William of Scotland was ordered to visit Henry in southern England, William was told that Lochlann must be stopped. However, William and Lochlann were friends, and so in the end Henry himself brought an army to Carlisle, and threatened to invade unless Lochlann would submit to his judgment. Lochlann did so. As it transpired, Lochlann kept most of Galloway, and Donnchad was given the new "Mormaerdom" of Carrick in compensation. More than any previous Lord of Galloway, he was the loyal man and vassal of the King of Scotland. After all, he owed his lands to the positive influence of King William. Whereas Lochlann's grandfather, Fergus had called himself King of Galloway, Lochlann's favorite title was "Constable of the King of Scots". Lochlann had led William's armies north into Moireabh against the pretender Domnall mac Uilleim, who claimed the Scottish throne as a grandson of King Donnchad II of Scotland. Lochlann defeated him in 1187 at the Battle of Mam Garvia, a mysterious location probably near Dingwall. Lochlann, unlike his uncle Gille Brigte, welcomed French and English colonization into his eastern lands. In this, he was following his overlord, King William I of Scotland. Of all the Lords of Galloway, Lochlann is the least mentioned in the Gaelic annals, suggesting that he had lost touch somewhat with his background in the world of greater Irish Sea Gaeldom. Biography*: Uchtred mac Fergusa (c. 1120 – September 22, 1174) was Lord of Galloway from 1161 to 1174, ruling jointly with his half-brother Gille Brigte (Gilbert). They were sons of Fergus of Galloway; their mothers' names are unknown, but Uchtred may have been born to one of the many illegitimate daughters of Henry I of England. As a boy he was sent as a hostage to the court of King Malcolm IV of Scotland. When his father, Prince Fergus, died in 1161, Uchtred was made co-ruler of Galloway along with Gilla Brigte. They participated in the disastrous invasion of Northumberland under William I of Scotland in 1174. King William was captured, and the Galwegians rebelled, taking the opportunity to slaughter the Normans and English in their land. During this time Uchtred was brutally mutilated, blinded, castrated, and killed by his brother Gille Brigte and Gille Brigte's son, Máel Coluim. Gille Brigte then seized control of Galloway entire. Biography*: Lady Eupheme Graham was the daughter of Patrick Graham, Earl of Strathearn and Eupheme Stewart, Countess of Caithness. She and Robert Stewart, Master of Fife were engaged on 4 May 1414 but the marriage did not take place.3 She and Walter Stewart, Master of Fife were engaged on 5 September 1415 but the marriage did not take place. She married, firstly, Archibald Douglas, 5th Earl of Douglas, son of Archibald Douglas, 4th Earl of Douglas and Margaret Stewart, Lady of Galloway, between 24 February 1423 and 26 April 1425. She married, secondly, James Hamilton, 1st Lord Hamilton, son of Sir James Hamilton, 5th of Cadzow and Janet Livingston, after 25 February 1440/41. She died between 1 August 1468 and 1 November 1468. [S746] Wikipedia, online http://Wikipedia.com, http://en.wikipedia.org/wiki/Euphemia_Stewart,_Countess_of_Strathearn. Biography*: Euphemia Stewart, Countess of Strathearn (died c. 1434) was a medieval Scottish noblewoman, the daughter of David Stewart, Earl Palatine of Strathearn and Caithness. She succeeded to both her father's titles after his death between 1385 and 1389, probably March 1386. Euphemia was born on an unknown date in Scotland, the daughter of David Stewart, Earl Palantine of Strathearn and Caithness. Her mother was the sister of David Lindsay, 1st Earl of Crawford, however her first name is not known. As an only child she was heir to her father's earldoms. In about March 1386 her father died and she became suo jure Countess of Strathearn and Caithness. Calling herself Countess Palatine of Strathearn, she resigned the title Earl of Caithness to her uncle Walter Stewart, Earl of Atholl, sometime before 1402. 1) Malise, afterwards Earl of Menteith. 2) Euphemia, married, first, about 1425, to Archibald Douglas, 5th Earl of Douglas, who died in June 1439; secondly, to James Hamilton of Cadzow, afterwards first Lord Hamilton. 3) Elizabeth (or Anna), married her first cousin once removed, Sir John Lyon, 1st Master of Glamis (d. 1435). Patrick Graham appears to have taken the designation of Earl of Strathearn, as appears from a charter cited by Lord Strathallan in his history of the Drummonds, and others in the Register of the Great Seal. He was killed on St Laurence Day (10 August) 1413, near Crieff, by Sir John Drummond of Concraig, Steward of Strathearn, in a skirmish between them arising out of the Earl-consort's dissatisfaction with Sir John's official duties. [S746] Wikipedia, online http://Wikipedia.com, http://en.wikipedia.org/wiki/David_Stewart,_Earl_of_Strathearn. Biography*: Sir David Graham of Kincardine and of Old Montrose is the son of Sir David Graham of Kincardine. Biography*: Sir David Graham of Kincardine was the son of Sir Patrick Graham of Kincardine. He died circa 1329. Biography*: Sir Patrick Graham of Kincardine was the son of Sir David Graham of Dundaff and Annabelle of Strathearn.